Here's one from the incredible "League of Moveable Type" library, which you should bookmark instantly if you haven't already. Raleway is an elegant sans-serif typeface, designed in a single thin weight. It is a display face that features both old style and lining numerals, standard and discretionary ligatures, a pretty complete set of diacritics, as well as a stylistic alternate inspired by more geometric sans-serif typefaces than it’s neo-grotesque inspired default character set. Another from The League of Moveable Type. This throwback font brings instant authenticity and a sense of tradition to any design. These are letters that take command of the space around them; notice, for instance, the bowed shapes of the v and w.
Nevis is a strong, angular typeface and is ideal for headings, text, buttons and everything in between.. It's assertive and bold, but manages to retain a friendly tone, and looks especially good when used in all caps. FR Hopper is a sans based on geometric forms still having a friendly personality. It is inteneded for mid-length texts, captions, titles and almost any other occasional use - posters, flyers and even for web sites. The 430 and 431 weights are free and include a commercial license! St Ryde is a humanistic sans-serif with a slight touch of a script typeface. The most significant aspect of the typeface is the combined sharp and round treatment of the stroke endings. The complete Ryde Family contains five weights including real matching italics, so you can choose from thin, light, regular, medium and bold. The standard version comes free and includes a commercial license. Indento is a multi-purpose modern geometric slab serif for headlines, posters, branding but fairly legible to be used as longer text. The straight and rounded corners combined with deep cuts and asymmetric serifs gives it a distinctive look while still keeping it’s rigorousness and legibility. The standard version comes free and includes a commercial license. Kaine is a bold slab-serif typeface influenced by Spagetti Western posters of the 1960s. The standard block version comes free and includes a commercial license. 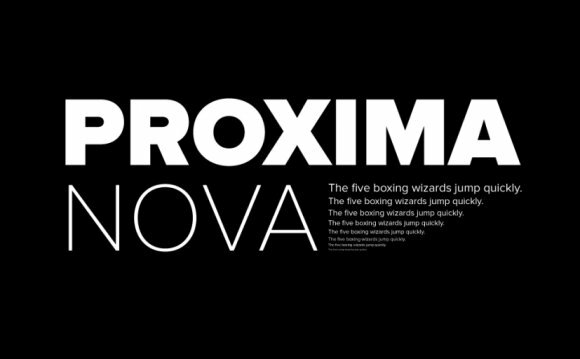 Prociono is a beautiful serif and caligraphic font with some blackletter elements. It’s elegancy may fit any poster, that puts an accent on the typography, and beauty elements. It was designed by Barry Schwartz and is currently available in 1 style, with the both .ttf and .oth extensions. Secca is a fine typeface honoring the roots of early German grotesque type designs but mastered for the needs of today. The weights from Light to Bold work perfectly for body text. The free version includes a private license only, so you can't use it for commercial projects. Fertigo-Pro is a beautiful, caligraphic and decorative great for headlines. It's available in two styles, one of it being available for free. Museo is a very popular font nowdays. It is on a high demand because it is a very beautiful, clean and modern font. Museo Sans was created on a based well-known Museo font. It's OpenType font family offers also support for CE languages. Besides ligatures, automatic fractions, proportional/tabular lining and old-style figures, numerators, denominators, superiors and inferiors MUSEO also has a ‘case’ feature for case sensitive forms. Sansation is a beautiful, elegant and clean font. It is available in three different styles(Light, Regular, Bold), and has been updated to the 1.2 version recently. Glide is an elegant custom font with rounded corners, great for logos, posters, motion graphics and t-shirts. Mr Jones was originally conceived as a family for print design consisting of a sans and a headline. The lowercase are wide for legibility at small sizes while the caps are narrower to save space and keep an even balance of negative space when used in body copy. Creative, Fat and Bold font designed by Manual Kerning. It’s “boldness” can be a favor for short-letter-`ed` logotypes and brands. It’s beauty can play a great role in any type of graphic design – web, print, motion graphics, various kinds of t-shirt designs and pictograms. DayDream Daily Typeface is a beautiful, modern, elegant and bold font, available free of charge. Diavolo is a beautiful, elegant and bold font, that is available in 5 different styles (Light, Book, Medium, Bold and Black). LifeStyle Market is an elegant, semi-slab serif font available in 1 style and free of charge. AvanGarde LTD is an elegant, modern font that can be used as poster writings or/and headlines. Another from The League of Moveable Type. Like the 1911 version, the Sorts Mills is another traditional serif typeface. Featuring some pretty sweet accentuating curves, this version brings class by the caseload. A ‘revival’ of Goudy Oldstyle and Italic, with features among which are small capitals (in the roman only), oldstyle and lining figures, superscripts and subscripts, fractions, ligatures, class-based kerning, case-sensitive forms, capital spacing. There is support for many languages that use latin script. Another from The League of Moveable Type. Inspired by humanist sans serif typefaces such as Meta, Myriad, and Scala, Junction is where the best qualities of serif and sans serif typefaces come together. It has the hand drawn and human qualities of a serif, and still retains the clarity and efficiencies of a sans serif typeface. It combines the best of both worlds. Calluna is an elegant and serif font, inspired from the famous and beautiful work "Museo". Fabryka is a modern monospaced lowercase family font available in 7 different styles. Dream Orphanage is a high quality reconstruction of the 1990s freeware classic, Dream Orphans font. Fenwick is a lineal, metal type with unusual proportions. The almost sinuous curves of the numerals revive their inherent Arabian roots and the italic’s line thickness was amended by eye so as not appear too mechanical.